Welcome to our Summer Camps! 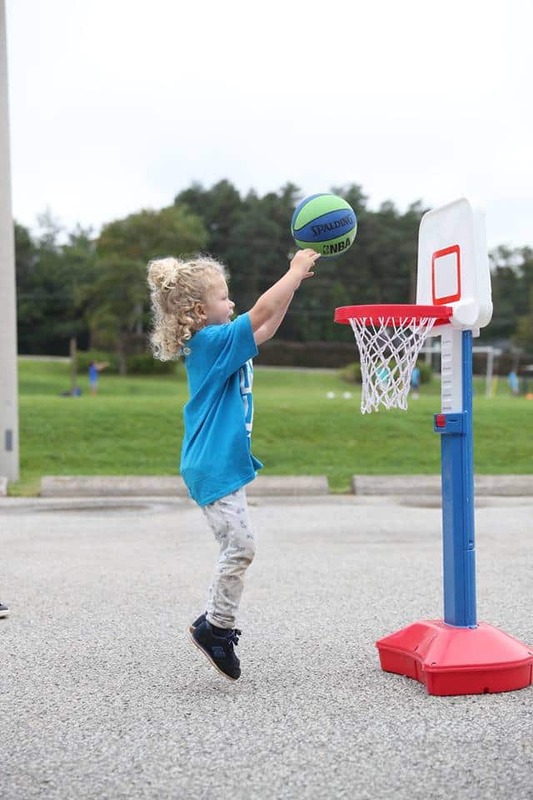 Our amazing camp features many different activities for the whole family to choose from, depending on each location and amenities. 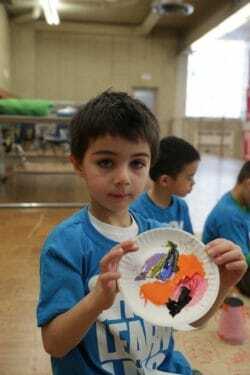 Customize your week: Our camp gives campers full choice to mix and match activities to customize their own development! Broad Age and Gender Focus: Our camps are perfect for the whole family, offering options for both boys and girls ages 4-16. Our 5 Star Development System is an easy to follow system that provides a development map of 50+ essential skills for each of the sports and activities for children to progress towards. Students are also given awards on intangible, character building traits such as Sportsmanship, Leadership, Vocality, and Passion. First Day Assessment: Students are assessed to identify their current skill level at each sport. We assess strengths, weaknesses, and the next skills most beneficial for development. Goals: Children will set goals and intentions for the sessions and will be held accountable for improving and practice throughout the week. Exciting Camp Experience: Our camps focus on fun training and development, mixed with frequent gameplay, to create a varied and dynamic week of camp. Water and multi-sport games are thrown in the mix for additional fun! Progress Reports and tracking through our 5 Star Development System for each sport. Each student will receive first day assessment and last day testing to ensure that they are progressing rapidly through our 5 Levels for each Sport. A 1-5 ratio of campers to coaches with expert TAC Sports Coaches. 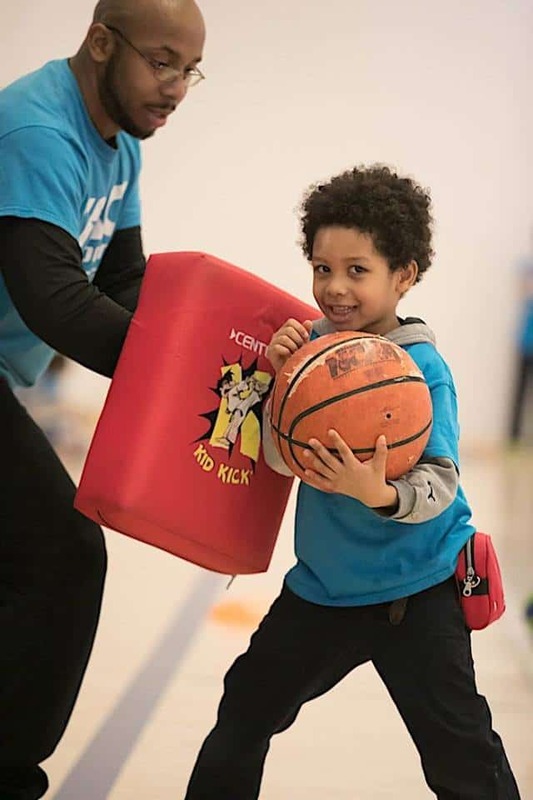 All coaches are highly trained through the National Coaching Certification Program of Canada, with Vulnerable Sector Checks and Standard First Aid and CPR. 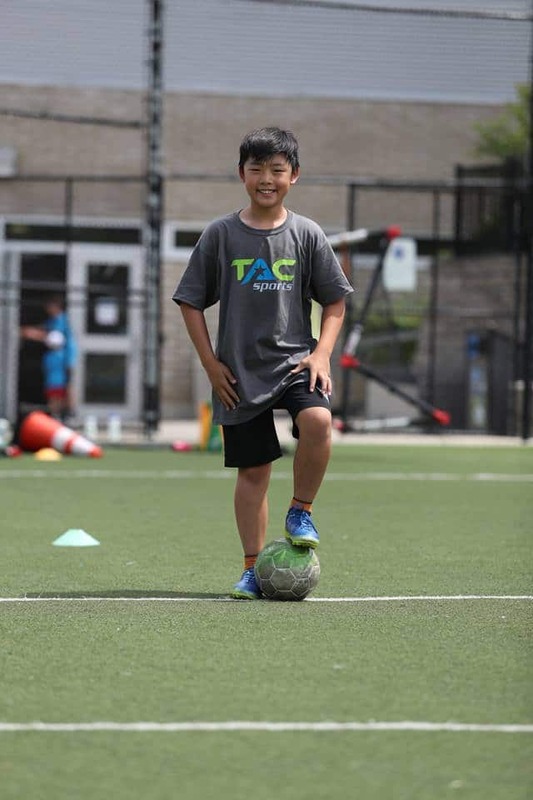 Our TAC Soccer program is designed for all skill levels; ranging from the fundamentals to the refinement of the most advanced techniques. 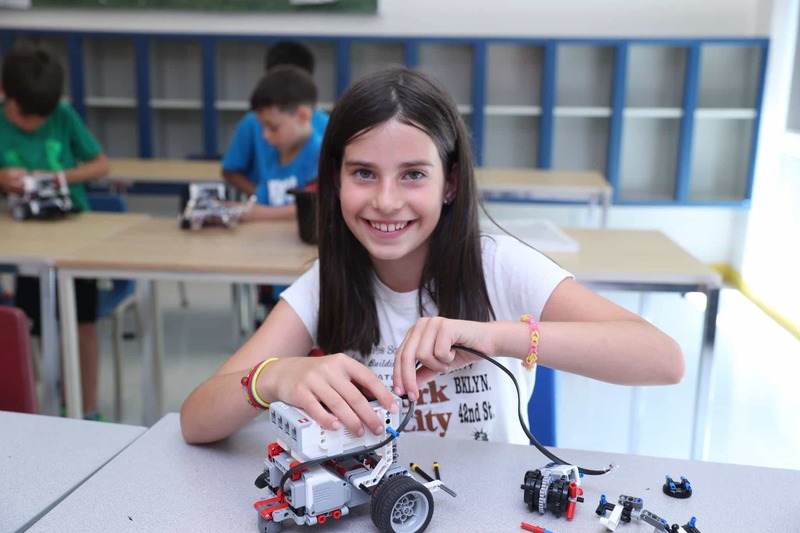 Programming focuses on individual skills and on increasing children’s self-confidence. 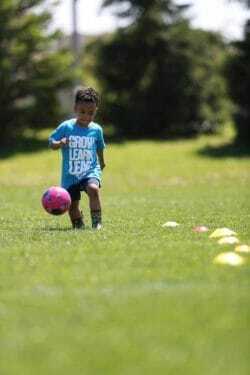 Programming consists of fun skill games, soccer matches, and thorough practices. 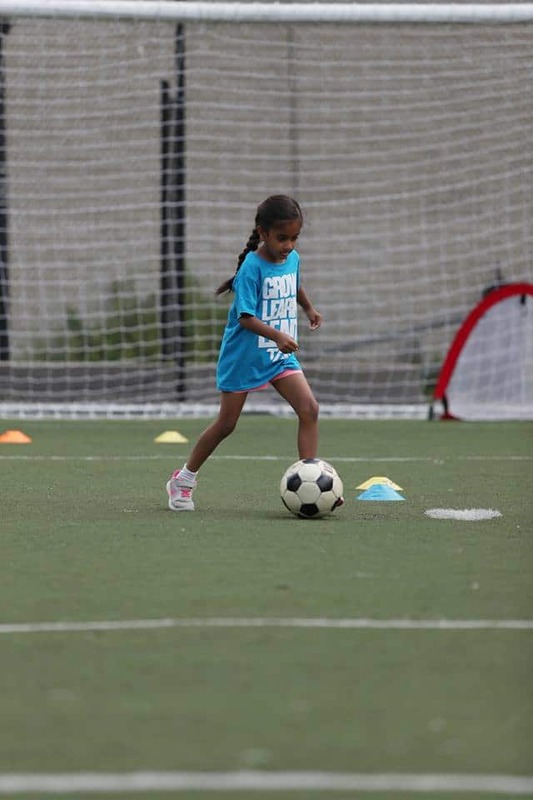 Students start with basic techniques such as dribbling, passing and shooting, and move towards advanced techniques such as strategy, 1v1 dribbling, and positioning. Further skills are also developed such as (ball control, ball possession, tackling, positional sense, guarding the ball, and support play. Specialized training for goalkeepers is provided at more advanced levels. We apply the 5-Star TAC Soccer Development System to all of our soccer programs. This system gives students 5 measurable levels to achieve with specific criteria outlined. It is specifically designed to increase motivation, knowledge retention, goal-setting skills, and development. 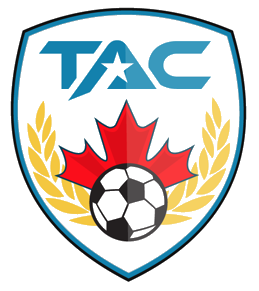 This system is unique and distinguishes TAC Sports from other camps. Students that progress to an advanced level may be invited to tryout for our competitive soccer teams. 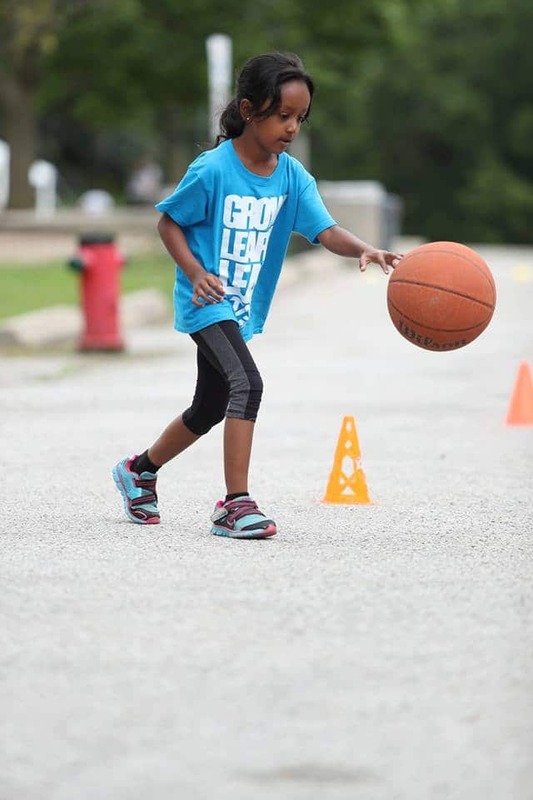 Mega Star Learning® is implemented in all of our sports camps. Lesson plans are structured to provide one drill followed by a short segment of gameplay with an emphasis on the skill learned in the drill. This sequence is repeated continuously throughout the day. Mega Star Learning is a perfect mix between skill building and having fun! This strategy maximizes concentration, willingness to learn new skills and retention of the learned material. 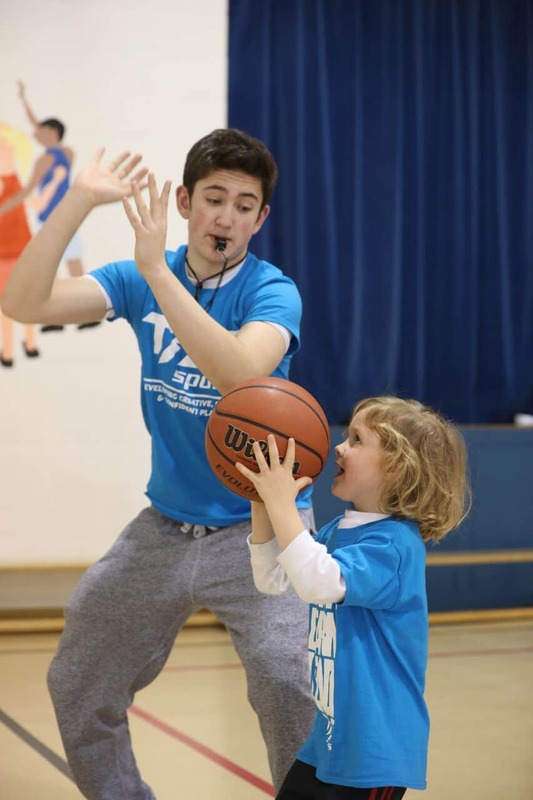 Our TAC Basketball camp program is designed for all skill levels; from the introduction of the fundamentals of basketball to the refinement of the most advanced techniques. Students work on basic techniques such as ball handling, shooting, passing, defense, footwork, positioning, strategy. Students work on skill building, playing games and working on their skills through practice and repetition. Advanced students will learn positioning, strategy, and have specific feedback on improving their fundamental techniques. We apply the 5-Star TAC Basketball Development System to all of our programs. The 5-Star basketball Development System gives students 5 measurable levels to achieve with specific criteria outlined. This is specifically designed to increase motivation, knowledge retention, goal-setting skills, and development. This is a unique and distinguishing factor of our camps. 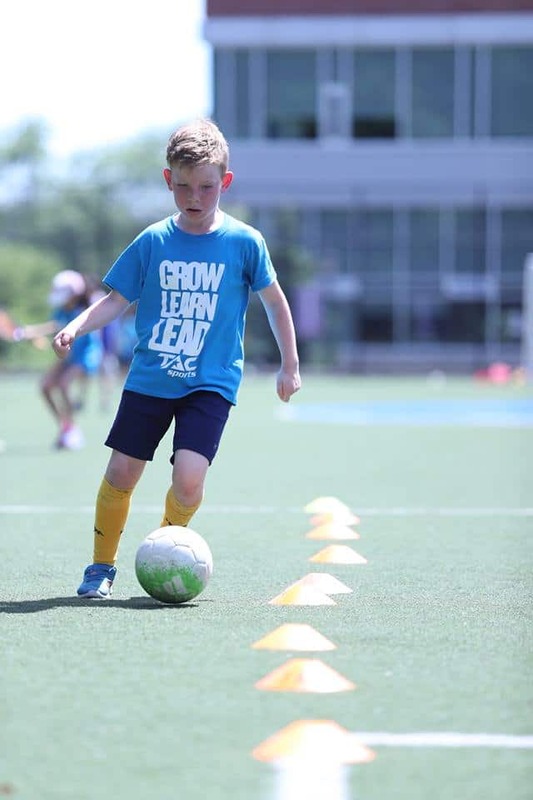 Mega Star Learning® is the form of learning implemented in all of our sports camps. Lesson plans are structured to provide one drill followed by a short segment of gameplay with an emphasis on the skill learned in the drill. This sequence is repeated continuously throughout the day. Mega Star Learning is a perfect mix of skill building and having fun! This strategy maximizes concentration, willingness to learn new skills and retention of the learned material. 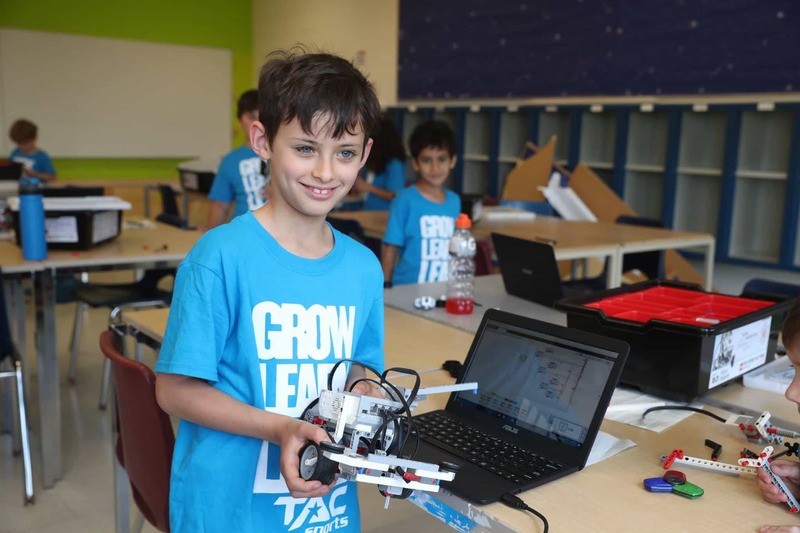 TAC Lego Robotics program allows students to engage in various technological activities that are growing popular in today’s youth. The students enjoy building their robots, as well as programming them. By learning the basics, and building their way up, individuals can achieve mastery and demonstrate competence. 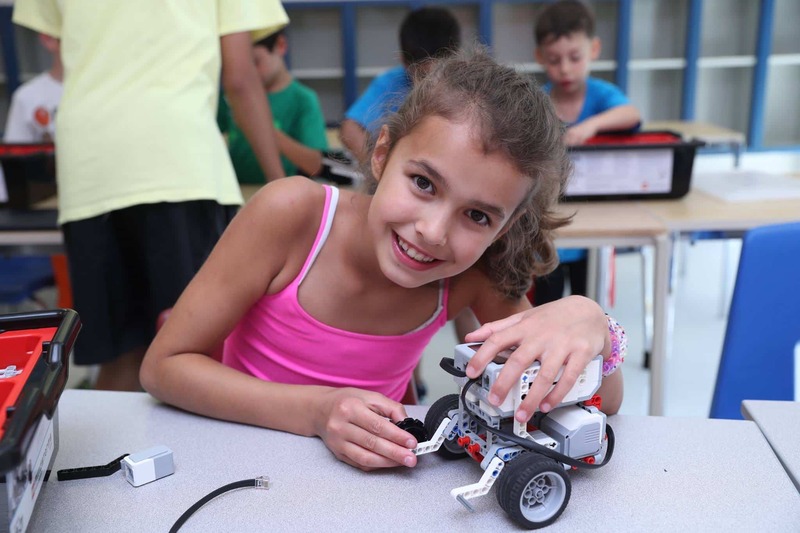 Students start with the basic skills, such as building a simple robot, programming different motions, and using the various sensors to make a robot move. 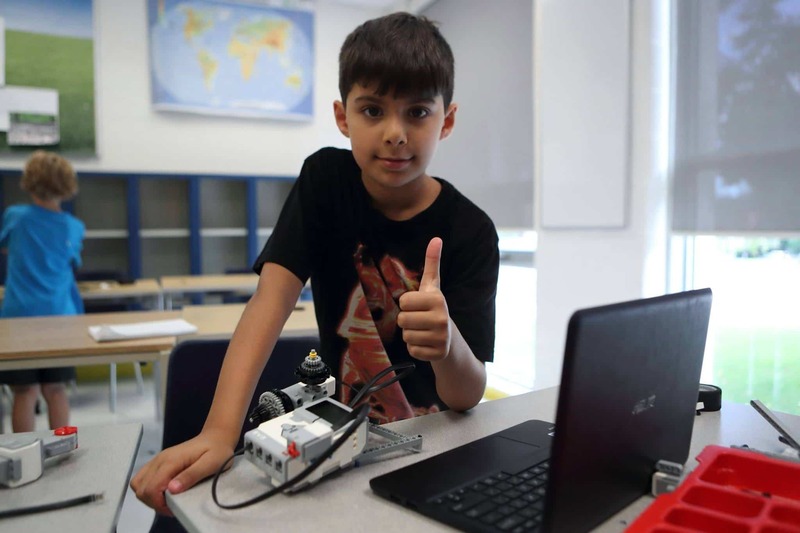 Once learned, students can go above and beyond, making robots that can pick up items, sense when people are near, and even solve Rubik’s Cubes. 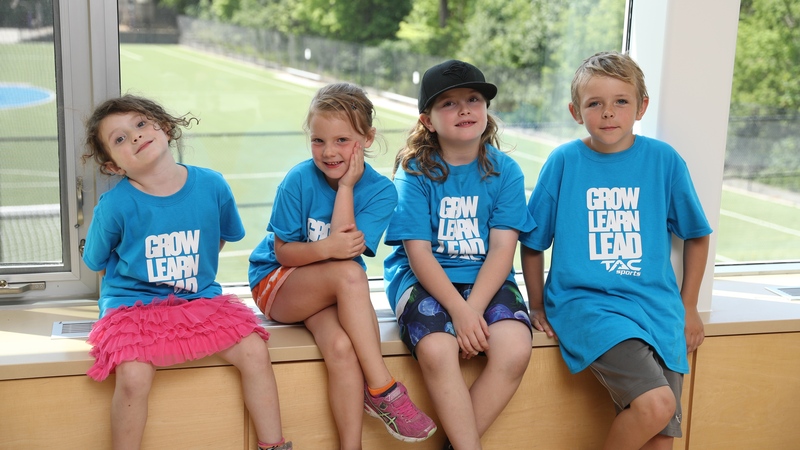 TAC Adventure Camp is a FULL DAY program (with a HALF DAY option) for ages 4-5. Every week offers a different theme (i.e. Safari, Atlantis, Superheros and Villains, etc. ), where exciting activities are planned in correspondence to that theme. The weekly activities include activities such as arts and crafts, story time, camp songs, low organizational games (where campers learn fundamental movement skills), and scavenger hunts that are stimulating for young minds, fostering creativity and imagination, and more importantly develops both literacy and physical literacy. 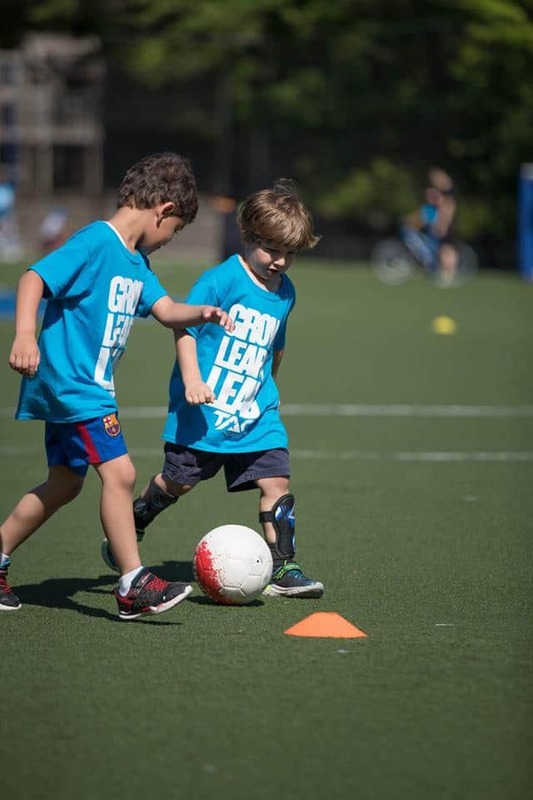 Furthermore, each day features a specific sport that is modified to be developmentally appropriate for this age group, allowing campers to explore soccer, tennis, basketball & dance and decide for themselves what sports they are most passionate about. For more detailed information about this program, please refer to our weekly curriculum plan in the itinerary. All children registered in Adventure Camp must be potty trained.